In this episode of the Experience Flagstaff Podcast, we’re talking about going green! What can you do to enhance the energy efficient house features on your current home? What energy efficient features can you expect in a new build home from Capstone Homes in Flagstaff? And where can you learn more about Flagstaff’s sustainable efforts through recycling. We take a look at all of this and more in Episode 5 of the Experience Flagstaff podcast. Mark gives us a great overview of Capstone Homes current development projects. Flagstaff Meadows, Crestview, Flagstaff Ranch, Aspen Ridge and Aspen Shadows in Flagstaff Ranch, plus custom build projects. We have some fun during the interview, and Mark ends by answering the Lightening Round questions. Market in a Minute – Jacki gives information on Flagstaff’s real estate market in one minute flat. This episode covers stats from November 4 – November 11, 2018. Enhance your energy efficient house features – I give you several tips and tricks on how you can make your existing home more energy efficient. Small and inexpensive tips as well as major systems replacement. All these tips are ones that will make your home more efficient and your energy bills lower. Mark Tait interview – Mark talks about Capstone Homes. He highlights each of the current Capstone Homes communities, and talks about building a custom Capstone Homes new build in Flagstaff. A little education on what it means to have a Net Zero new build home, how they test it, and what a HERS rating means. Tour the Flagstaff Recycling Plant – Willow Bend Environmental Education Center offers tours on the First Friday of every month. Meet at 1800 E Butler Avenue at 1PM on the First Friday of any month (expect holidays). Tours last 1 hour and are a great way to learn more about Flagstaff’s recycling policies. Don’t forget to connect with our Experience Flagstaff Facebook Group! Also you can connect with the resources mentioned on the episode below. Thank you so much for joining us. Please subscribe. 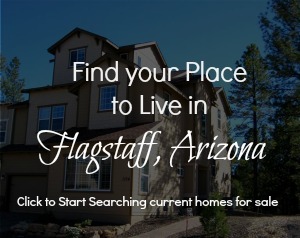 And leave a review if you love Experiencing Flagstaff, too! If you’d like to connect with Jacki Tait regarding the Experience Flagstaff podcast or to talk about Flagstaff real estate, call her at 602-904-3454. Right click here and save as to download this episode to your computer or smart phone device. Posted in About Flagstaff, Experience Flagstaff Podcast.